State exams are used to measure the extent to which individual students achieve the NYS learning standards in particular subjects and to determine whether schools, districts and the State meet the required progress targets specified in the NYS accountability system and in No Child Left Behind. The New York State Education Department (NYSED) is excited to announce several opportunities for the involvement of educators in the development and review of items and passages for the New York State Testing Program (NYSTP) Grades 3-8 Common Core Tests and Regents Exams. of a correct length to ensure that adequate and appropriate time is given to students for the administration of such assessments. Educator Passage Review (New opportunity for educators): A two-day meeting will be held in early winter in which educators will review the rigor, appropriateness, and quality of all proposed reading passages. For passage review, NYSED seeks grade-specific nominations of diverse educators, including those who possess extensive expertise in childhood literacy, certification specific to English Language Learners (ELL) and/or students with disabilities (SWDs), literacy in history/social studies, science, & technical subjects and/or a background in social justice. Internal Item Review (New opportunity for educators): A multi-day event, held in late spring, in which educators work with NYSED and Questar Assessment, Inc. staff to accept, reject and edit items that have yet to be field tested in preparation for Educator Item Review. For Internal Item Review, NYSED seeks grade-content area specific nominations of educators with documented content area expertise. For Internal Item Review, NYSED seeks grade-content area specific nomination of teachers who possess extensive knowledge of their content area, including teachers of ELL and SWD populations. Educator Item Review: A week-long meeting held in early summer in which teachers will be provided with the opportunity to review and recommend edits to all items that have yet to be field tested. For Educator Item Review, NYSED seeks grade-content area specific nomination of teachers who possess extensive knowledge of their content area, including teachers of ELL and SWD populations. Rangefinding: A week-long meeting held in late summer in which teachers rate student responses to field-tested constructed response questions. For Rangefinding, NYSED seeks grade/content area specific nominations of educators who have expertise and experience applying formal rubrics to rate student responses. Forms Construction (New opportunity for educators): A daylong event held the first week of November in which educators work with NYSED staff and Questar Assessment, Inc. to select the questions that will appear on the operational tests. For Forms Construction, NYSED seeks grade/content area specific nomination of educators who have the expertise to judge question accuracy, rigor, quality and appropriateness, including teachers of ELL and SWD populations. Final Eyes: A daylong meeting where teachers review the final draft of each operational test. NYSED seeks grade/content area specific nominations of teachers who possess extensive knowledge of their content area, including teachers of ELL and SWD populations. NYSED requests that organizations (school districts / BOCES, professional organizations, etc.) nominate classroom teachers and experienced educators they feel can best enhance the quality of the New York State Testing Program. 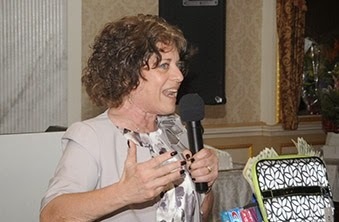 Nominees may include classroom teachers (subject area and special populations), curriculum coaches, district-level personnel or other staff who have the skills necessary to make each committee or event successful. Please submit the names and contact information for at least six (6) ELA and six (6) math candidates for participation in Forms Construction to Ross Garmil (ross.garmil@nysed.gov) by October 14, 2015. Educators selected for the Forms Construction workgroups will be notified by October 21, 2015. For each of the other committees and events, please submit name, grade, content area, committee and contact information for at least six (6) ELA and six (6) math candidates to Ross Garmil (ross.garmil@nysed.gov) byNovember 15, 2015. Educators selected for these other committees and events will be notified later in the year. Be sure to indicate the name, content area, grade level, and committee/event for which you are nominating each person. At their September 2015 meeting, the Board of Regents directed NYSED staff to convene a workgroup to advise on several technical and policy issues surrounding score interpretation and reporting for the Common Core Regents Exams (seehttp://www.regents.nysed.gov/common/regents/files/meetings/Sep%202015/915p12d1.pdf). Members of the workgroup will be required to attend up to three in-person meetings in Albany, the first of which will be on Monday, November 2, 2015. Travel expenses will be reimbursed for workgroup members. Candidates for the workgroup should be nominated based on their knowledge of the Regents Exams; this may include knowledge of the subject areas and/or how results are interpreted and used. Nominees may include classroom teachers (subject area and special populations), administrators, guidance counselors, district-level personnel or other staff who have insight into the uses of Regents Exam scores. Please submit the names and contact information of up to five (5) nominees for this workgroup to Ross Garmil (ross.garmil@nysed.gov) by October 14, 2015. Educators selected for the workgroup will be notified in early October. NYSED is also seeking qualified professionals to serve as committee members for ongoing test development activities for the New York State English as a Second Language Achievement Test (NYSESLAT). New York State-certified classroom teachers, especially (but not limited to) those who hold a certification specific to ELLs, are encouraged to apply to participate in the test development process. Activities for which educators are needed include: item development, test form review, rangefinding, and standard setting. Participation in each of these activities provides an excellent opportunity for professional development as educators learn more about New York State assessments and the test development process, share their knowledge as content experts, and collaborate with colleagues from around the state. The New York State Education Department (NYSED) seeks qualified professionals to serve as committee members for test development activities. New York State-certified classroom teachers, reading teachers, curriculum specialists, administrators and assessment professionals at institutes of higher education are encouraged to apply to participate in the test development process. Activities for which educators are needed include: item development, test form review, rangefinding, and standard setting. Participation in each of these activities provides an excellent opportunity for professional development as educators learn more about New York State (NYS) assessments and the test development process, share their knowledge as content experts, and collaborate with colleagues from around the state. It is very important that NYSED develops fair, reliable and valid tests for the NYS Testing Program. All NYS exams are developed in accordance with national industry and professional standards for educational testing. The exams are carefully constructed to align with and assess the knowledge and skills set forth in the NYS learning standards (seehttp://www.p12.nysed.gov/assessment/teacher/test-development-process.pdf (65 Kb)). State exams are used to measure the extent to which individual students achieve the NYS learning standards in particular subjects and to determine whether schools, districts and the State meet the required progress targets specified in the NYS accountability system and in No Child Left Behind. Test Assessing Secondary Completion™ (TASC). This is a national test for which NYSED provides recommendations. NYSED will directly contact educators via email or phone when there is an opportunity for participation. Typically, these communications will be sent out at least two months in advance of any opportunity to allow for educators to make necessary arrangements.